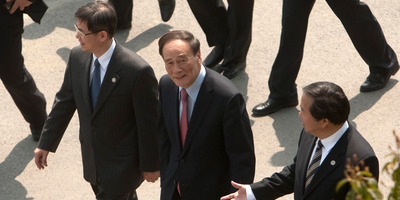 China’s new vice president, Wang Qishan, will be crucial to trade talks between the US and China. While China’s vice president has historically been a symbolic role, Wang will likely have a very hands-on approach domestically and internationally. Wang has a significant amount of experience as a trade negotiator with the US and Washington sees Wang more favourably than President Xi Jinping in the current climate. 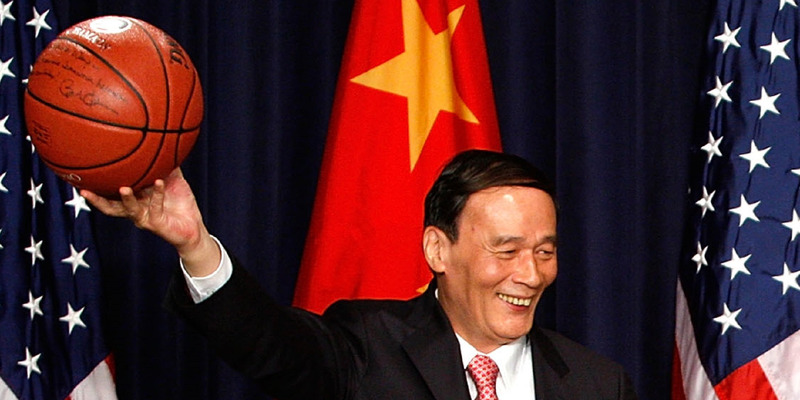 China’s new Vice President Wang Qishan is the country’s best hope of avoiding a trade war with the US. Wang, a close ally of President Xi Jinping, is a fierce negotiator with experience mediating US-China relations. Wang was a key player in US economic negotiations under former president Hu Jintao, and was named as one of the most influential people in the world by Time magazine. As a trusted confidant of Xi, Wang most recently led the country’s anti-corruption unit, overseeing punishments for 1.5 million officials, and served on the Politburo Standing Committee, China’s highest decision-making body. And while the position of vice president has historically been seen as a largely symbolic role, experts speculate that Wang’s past experience and widespread influence could dramatically increase the role’s scope. Jian Zhang, an expert on Chinese politics at the University of New South Wales, told Business Insider that while the vice president of China historically does not play a significant role in global affairs, Wang’s appointment may completely alter the role’s definition. Wang’s appointment has come at an opportune time, as China is grappling with US-imposed tariffs that may spark a trade war between the countries. Jian explained that Wang’s previous experience as a trade negotiator will likely shape his role as vice president. “The relationship between the US and China is currently the number one foreign policy challenge for China and given Wang’s background in holding economic dialogue with the US for years, he makes for a very effective negotiator,” Jian said. 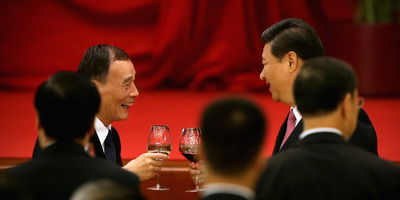 Feng Li/Getty ImagesChinese President Xi Jinping (Right) and Secretary of the Central Commission for Discipline Inspection Wang Qishan toast with high-ranking Chinese officials at a dinner marking the 64th anniversary of the founding of the People’s Republic of China at the Great Hall of the People on September 30, 2013 in Beijing, China. On October 1, 1949, Chinese leader Mao Zedong stood at the Tiananmen Rostrum to declare the founding of the People’s Republic of China. Additionally, Wang maintains close relationships, both professionally and personally with his US counterparts. 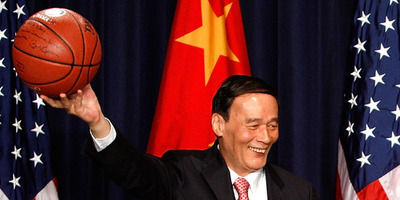 Wang has been part of economic negotiations with former Secretary of State Hillary Clinton, and once received a basketball as a gift from former President Barack Obama. Jian agreed that Wang is seen much more favourably in the US than President Xi in the current climate. “Wang’s straightforward approach to negotiations is more easily accepted by the US, and is respected by US partners,” he said. Although it’s unlikely Wang alone can prevent an impending trade war between the two global powers, Wang’s role will be crucial. “Wang is considered an expert on US trade talks. The Chinese side is hopeful that Wang can substantially improve the bilateral relationship with the US,” Jian said.